It’s hard to imagine life without hot water. Your water heater has a bigger impact on your day-to-day routine than you might realise. It pays to take good care of your hot water system, and that includes regular inspections, maintenance, and repairs. Of course, sometimes your water heater might just be beyond saving. Needless to say, you’re ironically in hot water if this happens. When selecting a new hot water system for your home, there are a lot of factors to consider. Your hot water system does more than just warm water: it can also influence your home’s energy usage. This guide will help you figure out what you need to look out for when selecting a new hot water system for your house. 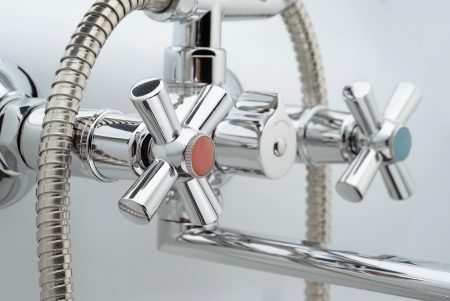 Have you ever had to schedule showers around your hot water supply? Like the name suggests, tank water heaters keep a tank full of constantly heated water on standby, ensuring hot water 24/7. One problem with this setup is that you can end up wasting a lot of energy – even when you’re not at home, your tank system is still hard at work heating water. And more importantly, what happens when that tank runs out? Tankless heaters in contrast are get around this problem by heating cold water as it passes through the hot water system. Needless to say, this makes tankless systems significantly more energy-efficient… not to mention, they’re significantly more compact. So it should be a clear no-brainer – tankless wins, right? We recommend talking with your local plumber about which type of system is more appropriate for your home… and your budget! Bigger is better, or so the saying goes. Whether you settle for a tank or tankless design, it’s also important to consider whether your new hot water system is powerful enough to support your hot water needs. And by that, we don’t mean going for the biggest system. Ask yourself how much hot water you use (normally and during peak times) and whether the systems you’re looking at are appropriate for your level of usage. If you choose a tank water heater, that means looking at your waterusage and whether the tank holds enough. A small tank might do if you live by yourself, but if you’re part of a growing family, it might struggle to keep up. Choosing a larger tank in these cases can be a smart investment. Energy usage: how much energy does your hot water system use? The typical household can spend up to 25% of its total energy usage on hot water. If you’re looking to reduce your home’s energy output, the water heater might be the perfect place to start. Fortunately, the Australian government makes it simple to check how much energy your appliances use: just check the star rating on the front sticker! H2> Join us next time for part 2! Choosing the right hot water system for your home is more complex than just picking a unit and asking your plumber to install it for you. The decisions you make regarding your hot water system can have a direct impact on your energy usage and your bills. We’ve barely scratched the surface here. There are countless other considerations to think about – and we’ll get to them in part 2 of this blog series. If you want to make the best plumbing decisions in your home, it pays to talk with a professional. Whether you need repairs, want a new system installed, or simply want an expert’s take, talk to a qualified plumber today on 1300 156 650 or contact us using this form!